Damiana is a plant native to Mexico and the southern United States. The dried leaves are used medicinally. In alternative medicine, damiana has been widely used as an aphrodisiac in Mexico for men and women. Although it is widely promoted as a sexual stimulant and aphrodisiac, scientific support for the benefits of this herb is lacking. One study suggested that damiana may have plant compounds with effects similar to those of progesterone. Over 150 herbs were tested for their ability to bind with estrogen and progesterone receptors in breast cancer cells and found that the damiana was among the six highest progesterone-binding herbs and spices. In alternative medicine, damiana is also used for asthma, anxiety, depression, headache, and menstrual disorders, however, there is a lack of supporting evidence. Damiana is found in various forms, including capsule, liquid extract, and tea form. Damiana may cause mild indigestion. Damiana contains a glycoside compound called arbutin. In the urinary tract, arbutin is converted into a chemical called hydroquinone. In large amounts, hydroquinone can cause nausea, vomiting, tinnitus (ringing in the ears, convulsions, and eventually, collapse and death. Although damiana contains about 1/10 of the arbutin as the herb uva ursi, a maximum safe dose of damiana has not been established. Due to the lack of research, it's too soon to recommend damiana for any health purpose. If you're considering using it, talk with your doctor first about the appropriateness and possible adverse effects. Keep in mind that alternative medicine should not be used as a substitute for standard care. Self-treating a condition and avoiding or delaying standard care may have serious consequences. Piacente S et al. 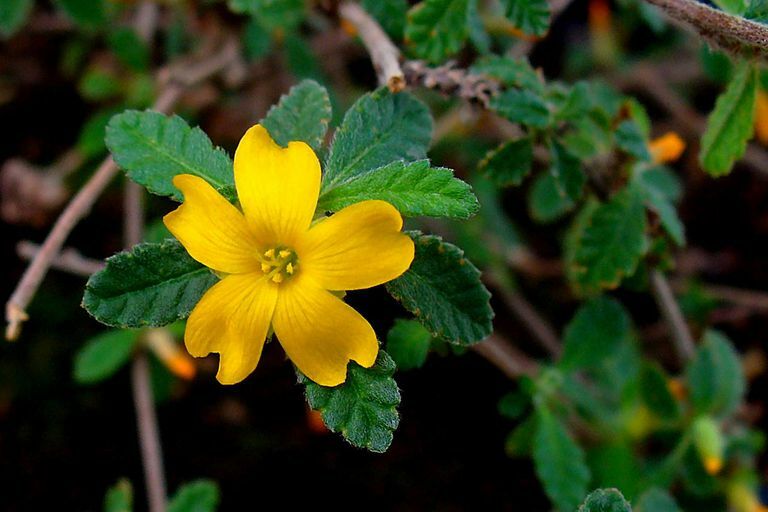 "Flavonoids and arbutin from Turnera diffusa". Z Naturforsch [C]. 57.11-12 (2002):983-5. Zava DT et al. "Estrogen and progestin bioactivity of foods, herbs, and spices". Proceedings of The Society for Experimental Biology and Medicine. 7.3 (1998):369-78.